This time, I'm taking a look at some of my favorite historical young adult books. Whether you already love the genre or you're just getting your feet wet, there's something to love. For more recommendations, check out the other Books by Theme! Katharine is sent by her greedy aunt to the state of her uncle, a lunatic, to claim it from him. What she finds instead is a childlike genius with a town, his attractive protector, and a town of people saved from workhouses. Now she's torn between money that could free her from her aunt's clutches and a place--and people--she's growing to love. And as she digs deeper, she finds herself falling deeper into danger, and perhaps her own insanity. Written in a beautifully Victorian style like a modernized Jane Austen, it's a must-read for any fan of historical fiction--or mystery and intrigue. It's beautifully written and the sequel, A Spark Unseen, is due this fall! I just read this and I can't say enough good things about it. It's quasi-historical in the sense that it obviously takes place in an older, perhaps pioneer period (maybe late 1700s, 1800s?) but it isn't in any place you'd know. It's its own world with its own unique history. That plays into the plot, which is a mix of mystery, thriller, and character study. It's about a girl who suffered a kidnapping and assault and came back with half a tongue and no voice--and that girl, discovering how to speak again, both literally and metaphorically. It's a great trial for non-historical readers because it reads very modern. I can't actually attest to this one, but Sarah J. Maas can. Well, unofficially, anyway. It was one of the books that she recommended at the Young Authors Give Back tour. And from all accounts, it's phenomenal. I don't know why I didn't snap this one up immediately, but it's definitely on my list now. If you want a beautiful review, read this one at The Book Smugglers, a blog I love. I mean, trust the original. I feel like every historical romance owes itself to Jane Austen. In some small way. She's the goddess of the romantic. If you like Victorian, that is. Which, if you don't, is fine, because Jane is a master of making the Victorian accessible. Seriously, this book is amazing. The characters are deeply portrayed and the plot revolves around the people; no tricks, no unnecessary frills. It's a must for any reader of good books. I read this when I was young and it stuck with me. I'm not a big fan of the colonial period, but there's just something about the Salem trials and the witchhunt period that attracts me. Speare does a great job of making it real and making it relatable to a modern reader. Kit was a fun, strong character too. 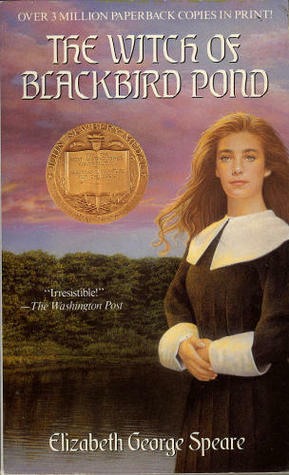 I can't give a full review because it's been a long time, but I remember this book fondly and it's a great example of historical teen lit done well. What are some of your favorite historical YA novels? I can't wait to read Verity. All the reviews are glorious! 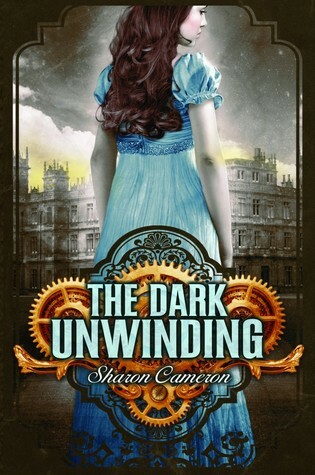 Huh, I could have sworn I'd heard about the Dark Unwinding from you, but when I checked, I hadn't commented on your review. Puzzling, especially since just today I saw A Spark Unseen while browsing Netgalley and was like... someone recommended this series to me, I know it. Who?? 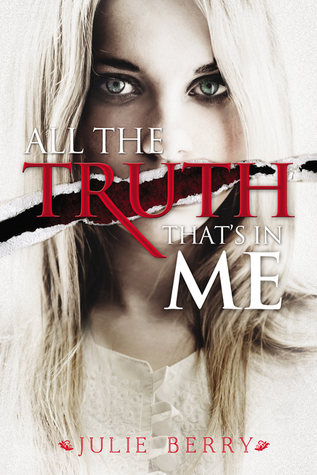 I still have to check out an excerpt from All the Truth That's in Me. Oh, oh, wait, before I forget--do you follow YA Highway? Today Stephanie Kuehn posted her favorite YA books that deal with mental illness, and I thought that might be something you're interested in as a psych grad. I feel like we've also talked about this before but my memory is just being faulty right now. 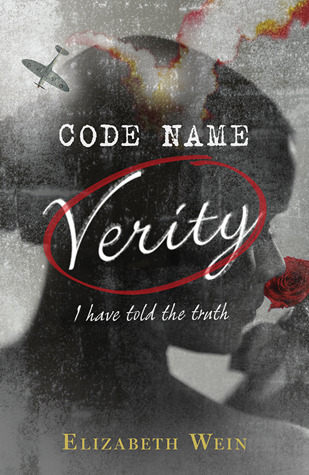 Not just Sarah J. Maas on Code Name Verity. Like the entire blogosphere. That one was really hyped, and I remember from the little that I'd read that it was very beautifully written. P&P is on almost all my lists :D. I have a giant Jane Austen compilation book that if removed from its shelf, will distract me for the rest of the day. I still need to get to your email. Sowwy. I've been less than productive today but tomorrow is a definite! Do it! I don't, but I'm totally going to check that out. Clearly she shares my interest. (: I think we've talked about psych before, but not YA Highway. Oooh nice! 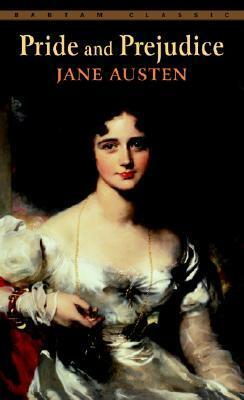 I've read all of hers except Northanger Abbey. Take your time. (: Emails take me forever too.